Vincent Timber - GrasseDeck Pro Decking from Metsawood. A commercial landscaping solution that blends the performance of traditional decking with the aesthetics of real turf. 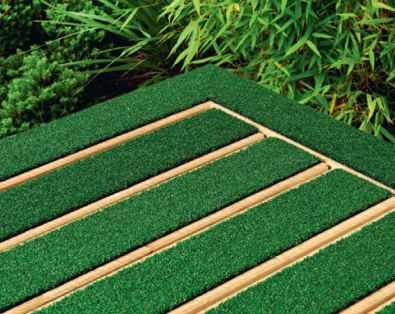 GrasseDeck® PRO is a professional grade, non-slip deck board combining a pressure-treated softwood with artificial grass that complies with the recommended standards for commercial decking. It provides specifiers and end users with an innovative landscaping solution that blends the performance of traditional decking with the aesthetics of real turf. 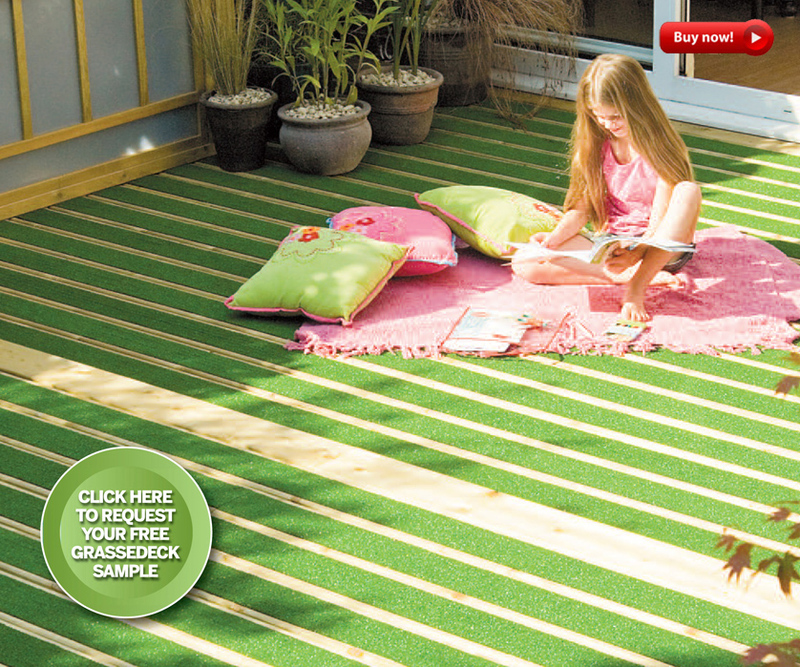 An ideal solution for schools, outdoor leisure facilities, entertainment areas, hotel or clubhouse grounds and even outdoor smoking areas..
GRASSEDECK® PRO HAS BEEN INDEPENDENTLY TESTED TO BS 7976 PART 2 TO CONFORM WITH UK SLIP RESISTANCE GUIDELINES AND IS RATED AS PROVIDING �LOW POTENTIAL FOR SLIP� IN BOTH WET AND DRY CONDITIONS. GENERAL MAINTENANCE INCLUDING REGULAR CLEANING WITH A MILD DETERGENT, TOGETHER WITH THE RE-COATING OF TIMBER COMPONENTS AND THE RE-APPLICATION OF ADHESIVE AS REQUIRED, WILL EXTEND THE SERVICE LIFE OF GRASSEDECK® PRO. DECK BOARDS CAN BE FIXED WITH STANDARD DECK SCREWS OR FIXINGS. IF FACE FIXING, GREEN COLOURED DECKSCREWS WILL BE LESS VISIBLE ON THE DECK SURFACE. 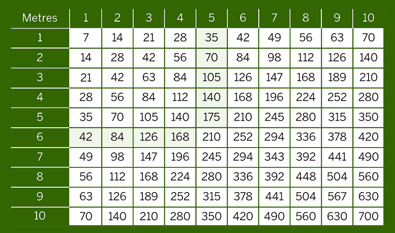 IF CUT, SAWN ENDS SHOULD BE RE-TREATED WITH A SUITABLE TIMBER PRESERVATIVE AND ADHESIVE OR MECHANICAL FIXINGS MUST BE USED TO ENSURE THE GRASS IS SECURELY REAFFIXED TO THE TIMBER DECK BOARD. SUPPORTS SHOULD BE SET AT A MAXIMUM OF 400MM CENTRES. A SLIGHT FALL SHOULD BE INCORPORATED INTO THE DESIGN TO HELP IMPROVE DRAINAGE.